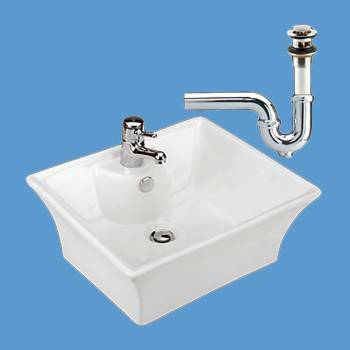 The “Newcastle” square vessel sink from Renovator's Supply features durable ceramic construction and a practical design for daily use. - OVERALL 7" Tall x 19-1/4" Wide x 14-7/8" Proj. 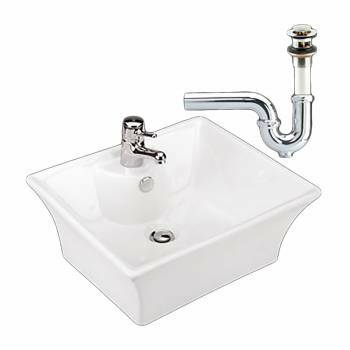 - BASIN: 5” Deep x 18-1/4” Wide x 13-7/8” Proj. CHROME W/CLEANOUT 1 1/4 IN.